THE FRENCH POLITICAL scientist Stéphane Lacroix begins this recently translated book with the assertion that “Saudi Arabia has remained a persistent blind spot in studies of Islamism.” He could have gone even further. During the fifty years prior to September 11, scholars largely neglected the entire history of modern Saudi Arabia. In the mid-twentieth century, Western social scientists were convinced that Middle Eastern societies would follow the path blazed by Europe and the United States toward the inevitable end of secular, nationalist republics. The emergence of post-colonial regimes, such as Nasser’s in Egypt, seemed to confirm this theory. Even works that focused on Islam and politics, such as Richard Mitchell’s classic book, The Society of Muslim Brothers (1969), lamented that while the phenomenon of Islamism was interesting, it was no more than a historical blip which had little hope of future success. Mitchell even offered a caveat to his study of the Brotherhood, stating that the “secular reform nationalism now in vogue in the Arab world will continue to operate to end the earlier appeal of this organization.” Of course the Brotherhood did not fade away as expected, but for scholars who shared Mitchell’s outlook, an absolute monarchy such as in Saudi Arabia, which derived legitimacy from its devotion to a very conservative Islam, seemed passé and unimportant. 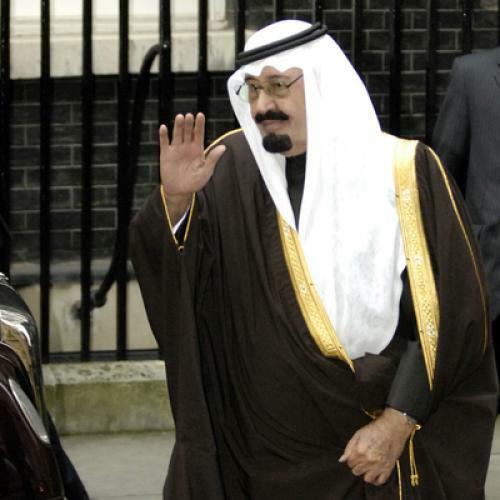 To many, history appeared to be leaving the Saudis behind. By the 1980s, this view became increasingly untenable. After the Islamic revolution in Iran and the assassination of Anwar Sadat by Islamic extremists, it became impossible to ignore the role of religion in Middle Eastern politics. Yet the initial explanations for Islamism’s resurgence focused on widespread poverty and a lack of opportunity that supposedly drove Muslims toward Islamic radicalism. Again, because the oil-rich Saudis did not fit the mold, they were relegated to the back pages of history.Yet, as the events of September 11 showed all too clearly, this failure to take heed of Saudi Arabia was catastrophic. It is only now in the decade after September 11 that scholars such as Madawi al-Rasheed and Thomas Hegghammer have afforded Saudi Arabian politics and Islamism the attention it deserves. Lacroix’s book is a welcome contribution and sets a high bar for this emerging literature. He has meticulously reconstructed what he claims is a “history that has never been written.” Of course the basic outlines of Saudi Islamism have been known for some time. Lawrence Wright’s landmark book, The Looming Tower, as well as works by Gilles Kepel, have told the story of how the Muslim Brotherhood’s political Islam blended with the austere theology of Saudi Wahhabis in the 1970s after a number of Brothers fled to Saudi Arabia to escape brutal crackdowns in Egypt and Syria. Once in Saudi Arabia, several prominent Brothers, most notably Sayyed Qutb’s brother Muhammad, began to work as educators in high schools and universities. Their students combined the political activism and totalitarian outlook of the Brotherhood with the strict, literalist theology of Saudi Arabian Wahhabism. The result was a deadly intellectual cocktail that was nurtured during the Afghan jihad of the 1980s and then turned against the Saudi monarchy after it invited American troops to defend the kingdom in the wake of the 1990-91 Gulf Crisis. Still, Lacroix has grafted new and important details onto this familiar narrative. Through close study of rare sources and a wealth of interviews, he sheds light on people and organizations that were completely unknown in the West. Impressively, he has gained access to secretive, underground Islamist organizations as well as regime officials and prominent intellectuals. This has allowed him to discuss the entire range of Saudi society, from the monarchy to the various shades of Islamists, and even that rare entity, the Saudi Arabian liberal. Pointing out that “in a country like Saudi Arabia, the classic divisions of the social arena—state/civil society, government/opposition—are of little relevance,” Lacroix develops an alternative theory whereby he divides Saudi society into political, religious, and intellectual spheres. He explains how up until the last three decades of the twentieth century, the Saudi monarchy was successful in maintaining strict divisions between these spheres. The Wahhabi scholars were responsible for religion and did not comment on politics. In return, the monarchy handled all affairs of state, but did not interfere in the religious sphere. Each side recognized the validity of the other. No one was able to combine the legitimacy of the religious sphere with the activism of the political sphere, and thus no one was powerful enough to challenge the state. But the Muslim Brothers refused to recognize the separation of religious and political spheres, and with their arrival to the kingdom, the once impenetrable divisions began to break down. This blurring of lines, Lacroix explains, led to the Islamist insurrections that have plagued Saudi Arabia since the 1980s. In addition to the religious and political spheres, Lacroix insists that the intellectual sphere, consisting of liberals and what he terms “Islamo-liberals,” must not be overlooked. He highlights liberal and modernist intellectuals who made up some of the press and were responsible for various literary festivals. These bastions of liberalism became a battleground for the newly politicized Saudi Islamists, who devoted a good deal of effort to undermining them. In the process, the Islamists developed new theories and an intellectualized Islam that was capable of confronting liberalism on its own terms. This dynamic is important for how it has affected Saudi Islamist movements, but Lacroix probably gives too much weight to Saudi liberals. The examples of liberal institutions that he discusses appear to be pet projects of a few Western educated Saudi princes. The various festivals and newspapers were propped up and protected by the monarchy and would have had little chance of surviving as organic entities. Even with the support of the monarchy, the liberals were hard pressed to maintain control of what little they had. Moreover, the absence of anything more than a murmur from them in the wake of the Arab Spring clearly demonstrates their tenuous position in what remains a deeply conservative society. Yet this is truly a quibble in what otherwise is an outstanding work of scholarship. It is also very timely. In the era of the Arab Spring, it is enticing to see Arab history as moving steadily toward a more democratic and less authoritarian future: the will of the people has finally challenged and even overthrown entrenched dictatorial regimes. But again the kingdom of Saudi Arabia seems like a holdover from a past era, and in the surge of scholarship that is beginning to appear on popular movements and democracy in the Arab World, Saudi Arabia may again seem passé and unimportant. This would be a mistake. If the history of Saudi Arabia teaches anything, it is that Western social scientists often miss the mark when assessing where the Middle East is headed. While it would be tempting to assume that the Saudi monarchy will fade into the ancient sands of the Arabian Peninsula, destined to be replaced by a more modern and democratic state, it would be incredibly dangerous to do so. Samuel Helfont is a Ph.D candidate in Near Eastern Studies at Princeton University and an Associate Scholar at the Foreign Policy Research Institute.